The U.S. House of Representatives Judiciary Committee met on Thursday to discuss the controversial Stop Online Piracy Act (SOPA), which is a copyright bill that many believe to be extremely dangerous for the future of the Internet as we know it. What's more, they appear to be moving toward approving the bill, as the committee rejected six amendments that were supposed to address the concerns of those who believe the bill to be suspect. These rejected amendments included an amendment proposed by Rep. Darrel Issa (R - California) that would have gotten rid of the most controversial parts of the bill, namely the provisions that target search engines and ISPs. The committee is led by the introducer of the bill, Rep. Lamar Smith (R - Texas). Smith Monday offered a 71-page amendment to the bill, which attempted to address some (but not most) of the criticisms of the bill. However, even after this amendment (read it here: PDF), Consumer Electronics Association CEO Gary Shapiro said the bill remained "unbalanced." The amended plan addressed some of the issues. For example, it includes a provision that a judge must order an ad network to end business with an "infringing" website. The amendments also state that .com, .org, and .net websites are not covered by the bill, and so the bill is targeted only at foreign sites. However, the amended bill still allows the government to order that ISPs block customers' access to "infringing" websites. 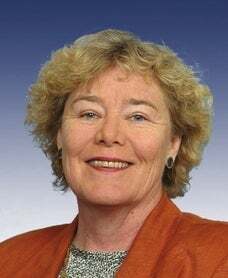 Rep. Zoe Lofgren (D - California) believes this provision goes too far: "We never tried to filter the telephone networks to block illegal content on the telephone network, yet that is precisely what this legislation would do relative to the Internet." Critics of the bill pushed for delay--Rep. Dan Lungren (R - California) asked, "Why is there this rush?" According to Wired, Lungren pointed out that there is no reason to rush into anything, and "For the life of me, I can't understand it." Issa, Rep. Jason Chaffetz (R - Utah), and other opponents of the bill asked Smith for a delay on the markup of the bill so they could hold a hearing and bring in tech experts and engineers to see whether the bill might make the Internet less secure. After all, the committee has held only one hearing on SOPA -- featuring zero engineers or experts. Smith declined to delay the bill. Millions of people -- including engineers, security experts, Internet watchdog groups, tech corporations, innovators, editorial boards, libraries, industry groups, entrepreneurs, venture capitalists, and regular people -- oppose the bill as it stands. The right of the government to order anISPto block access to any site it deems to be "infringing"
The right of the government to order a search engine to "prevent the serving, in response to a query" of a link to a site it deems to be "infringing"
The right of the government to order a payment network -- such as Visa or PayPal -- to cut off monetary access to a site that it deems to be "infringing"
SOPA also includes very broad definitions of what an "infringing" site is -- though the bill has been amended to include only foreign sites, it still says that a site can be accused if its core functionality "enables or facilitates" infringement. As TechDirt correctly points out in its comprehensive breakdown of why, exactly, SOPA and PROTECT IP Act (PIPA is the Senate version of SOPA) are "bad, bad ideas," one could argue the entire Internet enables or facilitates infringement. On Thursday, a group of 83 Internet inventors and engineers sent an open letter to Congress voicing their opposition to both SOPA and PIPA. Meanwhile, well over 1 million people have signed the "Save the Internet!" online petition at Avaaz, and the Center for Democracy & Technology has a running list of parties who publicly oppose the bill. Unfortunately, it looks like the House may be moving toward approving the bill. Issa's amendment was voted down 22 - 12. The SOPA hearing on Thursday lasted 12 hours, and ended at 9:30 p.m. The hearing will reconvene Friday morning at10 a.m. Follow Sarah on Twitter (@geeklil) or on Facebook, or Google+and Today @ PCWorld on Twitter.